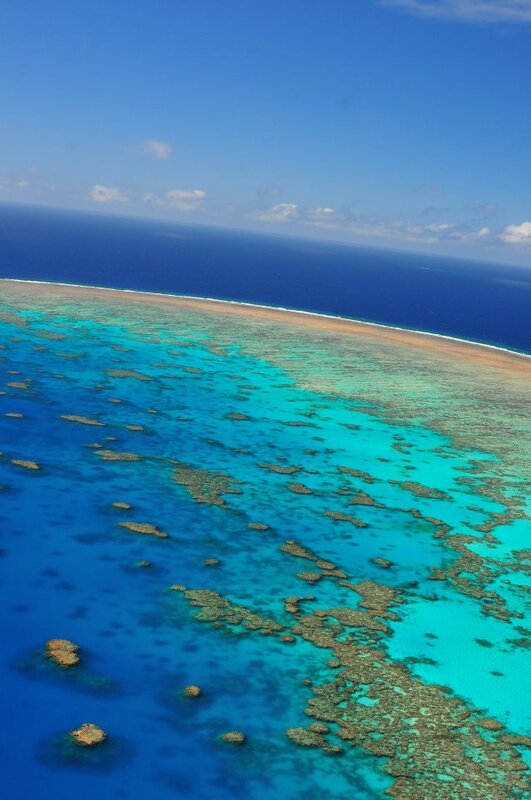 Cairns in a Day is ideal for visitors who are on a tight schedule but still want to experience the best attractions Cairns has to offer. 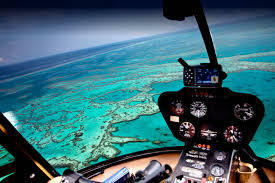 This action packed day will take you on a scenic journey to Kuranda followed by a spectacular helicopter experience to the outer barrier reef where you will board Evolultion for 2 adventurous hours to enjoy activities such as snorkelling, scuba diving, semi-submersible tour & fish feeding. 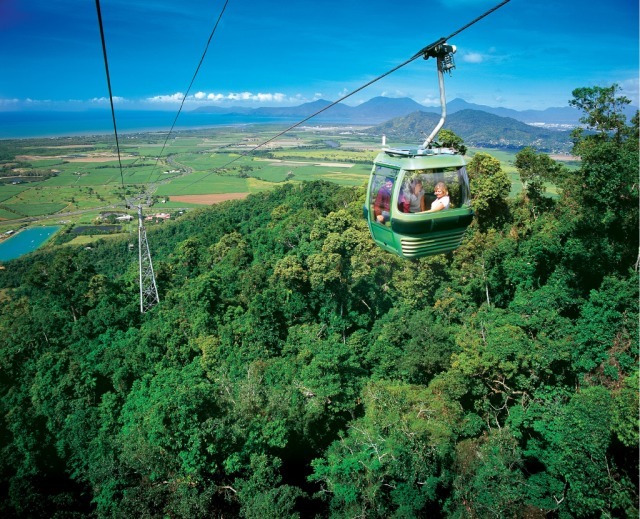 The quaint village of Kuranda is a laid back yet at times, bustling place to visit, any day of the week. 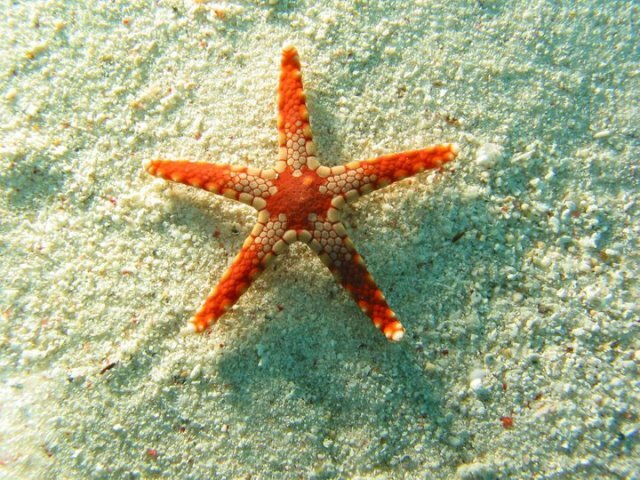 Stroll around the shops and famous markets or just relax in any of the lively cafes. 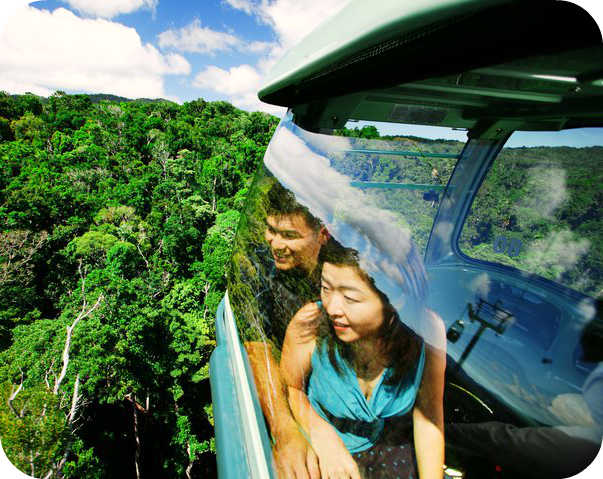 Take the Skyrail over the vast, lush canopy of the world heritage Daintree Rainforest and choose to stop off at any of the stations en-route for a closer look around. 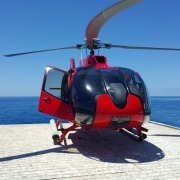 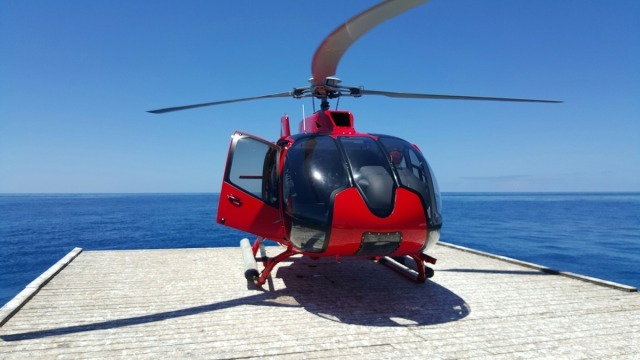 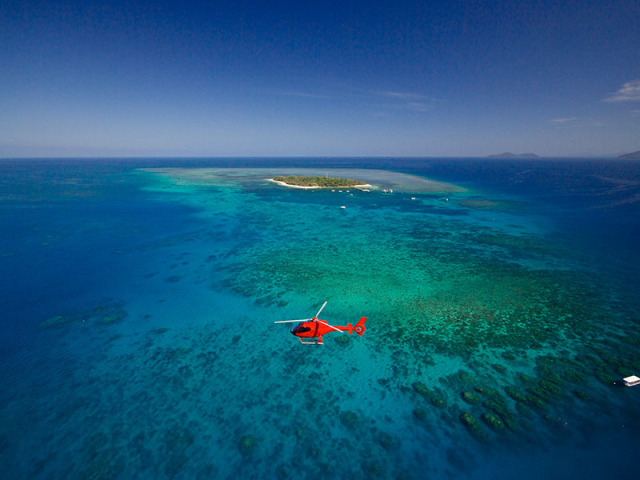 Grab a camera for this spectacular, 30-minute flight over the Great Barrier Reef, from the interior of the air-conditioned helicopter with live video-recording system. 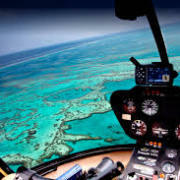 Aerial views are the only way to really appreciate the tremendous scope and awe of this amazing eco-system! 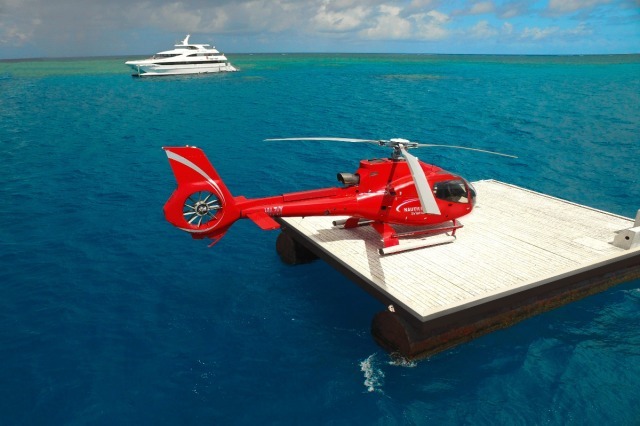 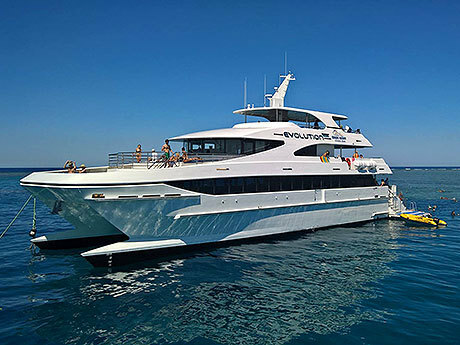 Once at Hastings Reef, transfer over to the Evolution, a sleek, high speed dive vessel. 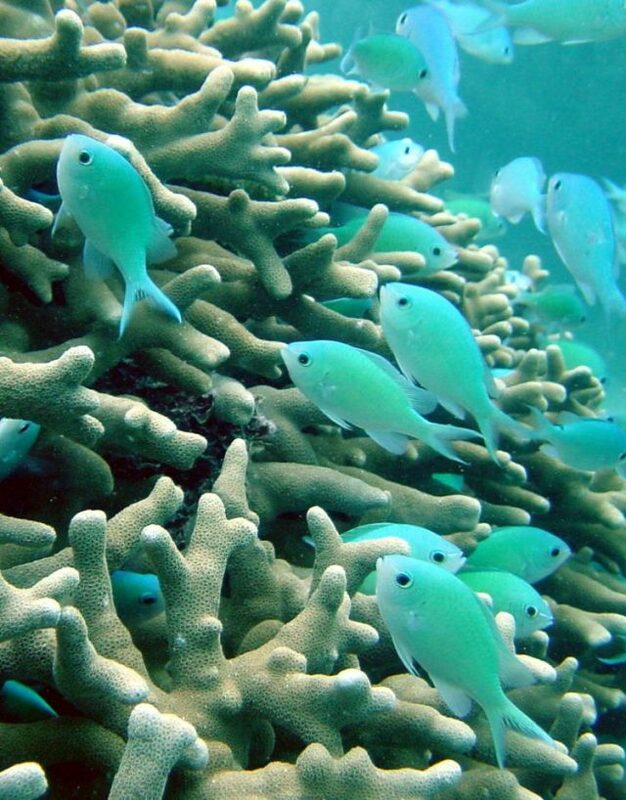 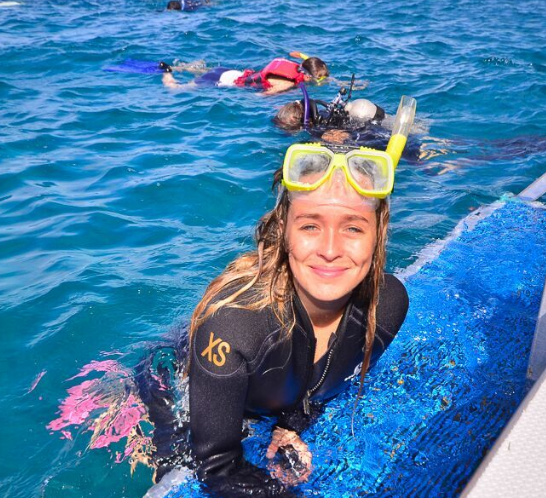 Spend the afternoon snorkeling, diving or take an informative semi-submersible tour. 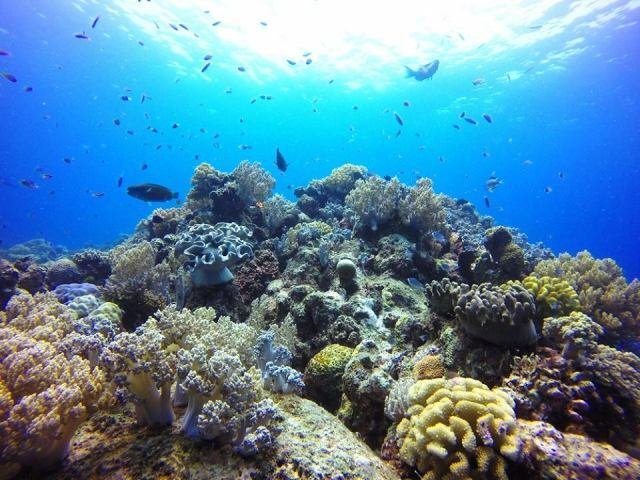 Tropical lunch included. 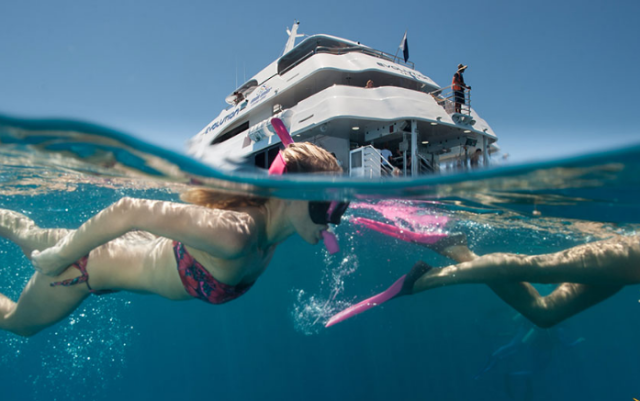 Sit back and enjoy the live entertainment and complimentary wine as you cruise back to Cairns aboard the Evolution cruising at around 25 knots.